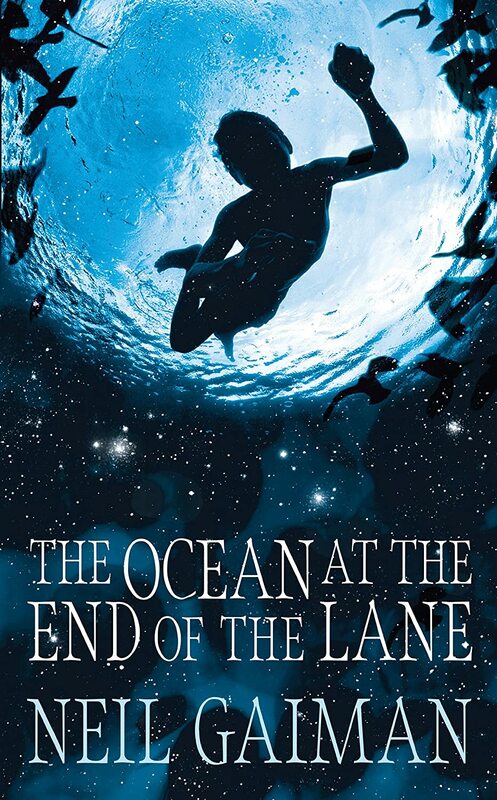 The Ocean at the End of the Lane is probably a book that I would have eventually gotten around to reading, for two reasons. One, I had heard very good things about it, even from people who don't normally like fantasy. Two, I had read some of his work before, mainly the first couple volumes of the Sandman comics and liked what I'd seen. As it was, my fiance practically begged me to read it next, and seeing as that was several months ago, I can't really keep putting it off. The Ocean at the End of the Lane follows the unnamed narrator as he returns to the country lane where he spent his early childhood, and finds himself drawn to the house at the very end of the lane. There, he reminisces about the childhood friend, Lettie Hempstock by name, who used to live there with her mother and grandmother and believed that the duck-pond in her garden was an ocean. At first, his childhood looks to be normal, if unusually solitary for a seven year old boy. It is only when a lodger of his parents' kills himself in the family car that strange things begin to occur, and the narrator finds himself a mostly unwilling participant in the upcoming events. I finished this book this morning, and my first thought was "Well, that happened." While that sounds flippant, it was meant in the kind of distressed bewilderment that accompanies the ending of a very well-written book that you have no clue what the meaning of it was meant to be. I suppose the thing that really caught me off-guard was the surreal, languid sort of tone that it had. Things certainly happened, quite distressing things at times, but it always seemed like it was happening at arm's length somehow. I suppose that the closest thing that I can compare it to would be a fairy tale: vivid events told in such a way that they are given distance and a strange, off-kilter viewpoint. The other thing that caught me out at the end was the feeling that the story wasn't finished. Not in terms of actual plot-line, that was absolutely fine. I mean in a more deliberate way; the story feels unfinished because the narrator isn't ready to let it go yet. The overall effect of this, mixed with the aforementioned tone, seems to be that of a myth for adults, the kind of simple story that we kind of forget about and underestimate as we grow older. As I've ruminated over the course of the day, I was wondering what Ocean at the End of the Lane was about, at least for me. I kept coming back to a line of dialogue that turns up towards the end. The line in question was, "Does it make you feel big to make a little boy cry?" It wasn't a moment that initially seemed huge in context, but it stayed in my head far longer than other parts, and when that happens it's usually a sign to pay attention. So I guess for me, it's become a kind of fable about the damage that can happen to children when they come into conflict with adults; you sort of assume that with age comes wisdom, but there are a lot of essential things that you sort of deliberately forget as you grow. When that comes into conflict with what we've decided is "grown-up" behaviour, then the child is almost guaranteed to lose, regardless of whether that's right or not. It's something that Gaiman keeps pointing to throughout the story and it got more than a little uncomfortable. Maybe I needed to feel a little uncomfortable.